All selectable pages are listed here. 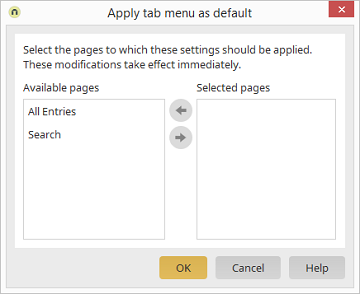 The tab menu that is defined in the previous dialog is automatically applied to all pages in this column. The changes are applied when you click on "OK". Move the selectable pages from one column to the other.